Harvard beets is a classic dish that has been around for generations, but the origin of the name is still in question. One story is that this beet dish was so called for their deep crimson hue, which was officially designated Harvard University's color in 1910. The other explanation is that this recipe was invented in a tavern in England named "Harwood," and over time and some American mispronunciations, the name morphed into Harvard. No matter the history of their name, these classic Harvard beets are delicious. The beets are sliced and cooked in a sweet and sour sauce made with vinegar and sugar. This recipe begins with fresh beets that you will need to cook, peel, and slice. Harvard beets go well as a side dish with steak, pork chops, or chicken. They lend color to the plate as well as great flavor. But another way to prepare the beets is to chill them and serve them with salad, which is a way to get a couple of meals out of leftovers. 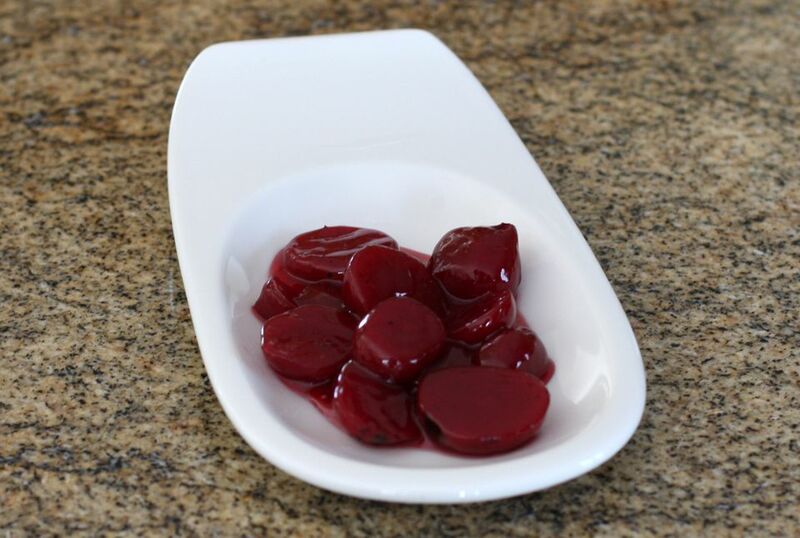 To make with fresh beets, wash the beets and leave an inch of stem and root end on them. Put the beets in a saucepan, cover with water, and add about 1 teaspoon of salt per quart of water and bring the water to a boil. Reduce the heat, cover the pan, and boil for 30 to 45 minutes, or until the beets are tender. Then slip off the skins. Slice the beets to your desired size. Combine the sugar and cornstarch in a saucepan. Whisk in the vinegar and water and cook over medium heat, stirring, until thickened. Add the sliced cooked beets and the salt and freshly ground black pepper and bring to a boil. Reduce heat to low and simmer, stirring frequently, for 5 to 10 minutes. Stir the butter into the beets and serve them hot. As a shortcut, you can use drained canned beets (not pickled) and skip the first few steps. If you do use this shortcut, the recipe will only take about 20 minutes to prepare. Beets can be found as a fresh crop at farmers markets from early summer through late fall and are a superfood, packed with vitamins as well as flavor. Look for beets that are firm and that have healthy-looking greens attached. The greens are delicious when cooked, so don't simply trim them and throw them away! If you prefer, you can roast the beets instead of boiling them for this recipe.